There are 70 NCAA member institutions that sponsor Division I Men’s Lacrosse teams and are eligible to compete in the National Championship. All 70 programs support approximately 3,000 Men's Lacrosse student-athletes across the country. The Division I Men’s Lacrosse Committees is charged with selecting the field of teams and assembling the championship bracket. The Division I Committee is comprised of five members, made up of coaches and administrators. For the 2018 season there are 9 conferences that are eligible for automatic qualification (AQ) consideration. However, only 8 AQ spots will be awarded in the 16 team championship bracket. The two lowest-ranked automatic qualifying teams as determined by the committee, regardless of conference RPI, will compete in a preliminary round game to determine the final AQ spot. To be considered during the at-large selection process, a team must have an overall won-lost record of .500 or better against Division I opponents. Division I teams must play at least 10 games against Division I opponents. • Strength of schedule index. • Results of the RPI. - Results versus common opponents. - Significant wins and losses (wins against teams ranked higher in the RPI and losses against teams ranked lower in the RPI). • Input from the regional advisory committee (comprised of lacrosse coashes from all AQ conferences). On Sunday May 5 the Division I Men’s Lacrosse Committee will select and seed the top eight teams for the Division I Championship. The top eight teams will be seeded and separated in the bracket; the remaining eight teams will be placed geographically, without compromising the integrity of the bracket. The 2019 NCAA Division I Men’s Lacrosse Championships brackets will be announced the first weekend in May prior to first-round competition. The two lowest-ranked automatic qualifying teams as determined by the committee, regardless of conference RPI, will compete in a preliminary round game to determine the final AQ spot. Eight, two-team First Round games will be conducted at non-predetermined campus sites. The winning team from each game will advance to the Quarterfinals. Four, two-team single elimination Quarterfinals games will be conducted at two campus sites. The winning team from each of the four Quarterfinals will advance to the championship final site. The 2019 Men’s Lacrosse Championships will be held at Lincoln Financial Field in Philadelphia, Penn. For the Division I Men's Championship two, two-team single elimination Semifinals games will be held Saturday, May 25 with times to be announced. The two teams winning in the semifinals will advance and compete in the single elimination Division I National Championship game which will take place Monday, May 27 with time to be announced. There are 71 NCAA member institutions that sponsor Division II Men’s Lacrosse teams and are eligible to compete in the National Championship. All 71 programs support approximately 2,550 Men's Lacrosse student-athletes across the country. The Division II Men’s Lacrosse Committees is charged with selecting the field of teams and assembling the championship bracket. The Division II Committee is comprised of four members, made up of coaches and administrators. The NCAA Division II Men’s Lacrosse Championship provides for a twelve-team single elimination tournament. Pairings for the championship are determined by regional alignments; six teams from each region will be selected. No conferences receive automatic qualification for the NCAA Division II Men’s Lacrosse Championship. Six teams from each of the two regions (North and South) will be selected and seeded for the championship. To be considered during the at-large selection process, a team must have an overall won-lost record of .500 or better versus Division II opponents. Division I teams must play at least 10 games against Division II opponents. Division II in-region winning percentage. Division II strength of schedule (opponent's average winning percentage and opponents' opponents' average winning percentage). Division II results versus teams with a winning record. In-region strength of schedule (opponent's average winning percentage and opponents' opponents' winning percentage). In-region Ratings Percentage Index (RPI). The 2019 NCAA Division II Men’s Lacrosse Championships brackets will be announced the first weekend in May prior to first-round competition. Four, two-team first round games will be conducted at four campus sites. The winning team from each first-round game will advance to the quarterfinals. Four, two-team single eliminations quarterfinals games will be conducted at four campus sites. The winning team from each quarterfinal game will advance to the semifinals. Two, two-team single elimination semifinals games will be conducted at two campus sites. The winning team from each semifinal game will advance to the championship final site. The 2019 Men’s Lacrosse Championships will be held at Lincoln Financial Field in Philadelphia, Penn. For the Division II Men's Lacrosse Championship, the two winning teams from the Semifinals round will compete in the single elimination National Championship game which will take place Sunday, May 26. There are 241 NCAA member institutions that sponsor Division III Men’s Lacrosse teams and are eligible to compete in the National Championship. All 241 programs support approximately 8,200 Men's Lacrosse student-athletes across the country. The Division III Men’s Lacrosse Committees is charged with selecting the field of teams and assembling the championship bracket. The Division III Committee is comprised of four members, made up of coaches and administrators. After the determination of the automatic berths (Pool A), the committee will determine the Pool B selections followed by the Pool C selections. Pool B is reserved for independent institutions and institutions that are members of conferences that do not receive automatic qualification. The number of eligible institutions in Pool B is determined by subtracting the number of eligible institutions in Pool A (total number of institutions in conferences with automatic qualification) from the total number of active Division III institutions sponsoring the sport. Pool B = (number of independents and non-qualifying conference members) divided by (the access ratio for Pool A) - the result truncated to the nearest whole number (e.g. 5.61 truncates to 5). Berths from Pools B and C will be selected on a national basis, using regional selection criteria. There will be no predetermined regional allocations for Pools B and C.
To be considered during the selection process for either an automatic berth (Pool A) or an atlarge berth (Pool B and Pool C), an institution must play at least 70 percent of its competition against Division III in-region opponents, unless a waiver has been approved by the Division III Championships Committee. • Won-lost percentage against Division III opponents. • Division III head-to-head competition. • Results versus common Division III opponents. • Results versus ranked Division III teams as established by the final rankings and the rankings preceding the final rankings. Conference postseason contests are included. • Division III strength of schedule. - Opponents’ Average Winning Percentage (OWP) 2/3 weight. - Opponents’ Opponents’ Average Winning Percentage (OOWP) 1/3 weight. Secondary Criteria - If the evaluation of the primary criteria does not result in a decision, the secondary criteria will be reviewed. All the criteria listed will be evaluated (not listed in priority order). The secondary criteria introduce results versus opponents from other classifications. • Non-Division III win-loss percentage. • Results versus common non-Division III opponents. • Division III nonconference strength of schedule. The 2019 NCAA Division III Men’s Lacrosse Championships brackets will be announced the first weekend in May prior to first-round competition. Four, two-team single elimination first round games will be conducted at four second round host campus sites. The winning team from each first round game will advance to the second round. Sixteen, two-team single elimination second round games will be conducted at campus sites. The winning team from each second-round game will advance to the third round. Eight, two-team single elimination third round games will be conducted at campus sites. The winning team from each third-round game will advance to the quarterfinal round. Four, two-team single elimination quarterfinals games will be conducted at campus sites. The winning team from each quarterfinal round games will advance to the semifinals. Two, two-team single elimination semifinal games will be conducted at two campus sites. The winning team from each semifinals game will advance to the championship final site. The 2019 Men’s Lacrosse Championships will be held at Lincoln Financial Field in Philadelphia, Penn. 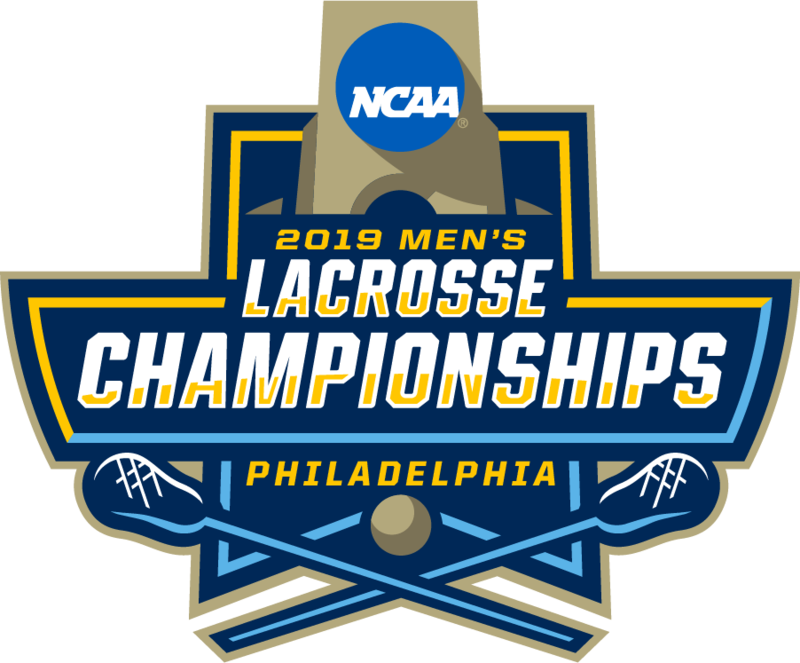 For the Division III Men's Lacrosse Championship, the two winning teams from the Semifinals round will compete in the single elimination National Championship game which will take place Sunday, May 26.